The absolute, hands-down highlight of the day (and maybe the trip?) 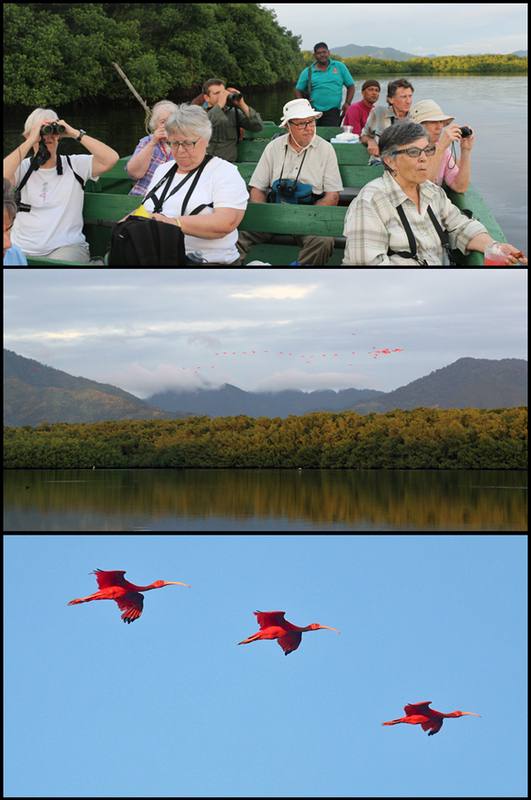 was the spectacle of thousands of brilliant Scarlet Ibis (along with several species of herons) coming in to roost. The serenity of relaxing on a boat in the middle of a beautiful estuary and the stunning Northern Range mountains as the background to this “National Geographic” moment was just icing on the cake. Guests always count this among the most amazing experiences of their birding lives, and with very good reason!